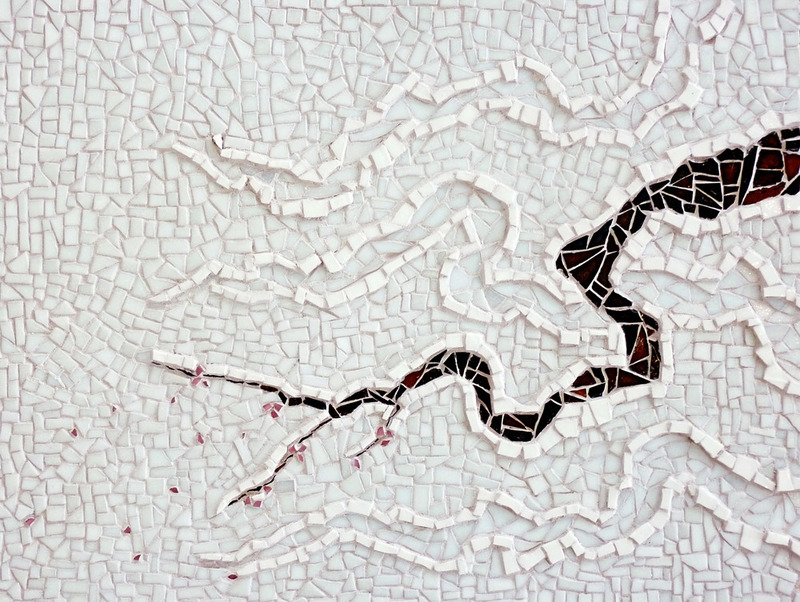 Meredith Snow has worked on mosaics over the past 5 years, which are often studies of nature, the simple outlines found in bare trees, the silhouettes of algae and birds. She has exhibited in New York City and Maryland. Born in New York, she received a BA in Art History and Studio Art from Drew University and spent a semester abroad in Florence, Italy. She lived in New York City for 15 years and worked in a variety of jobs including as a Proofreader, CAD Designer and Art Handler. She is currently a resident at City Arts and a Gallery CA Curatorial Committee Member. She moved to Baltimore in 2013 and currently works as a Framer.